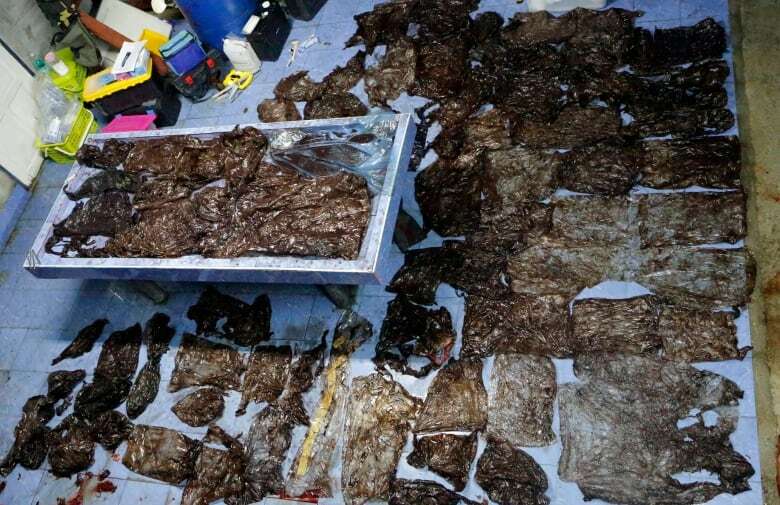 About 80 plastic bags were found in the stomach of a small male pilot whale that died in Thailand after a five-day effort to save it, marine officials said on Sunday. 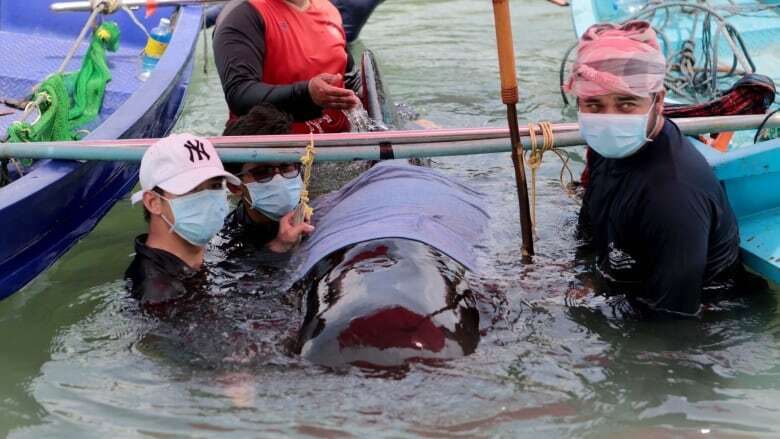 The whale was discovered last Monday in a canal in the southern province of Songkhla and received treatment from a team of veterinarians. An necropsy found another 80 bags and other plastic items weighing eight kilograms in the whale's stomach. Thais use huge numbers of plastic bags, but authorities have launched campaigns to try to encourage people to use fewer and to introduce reusable bags.